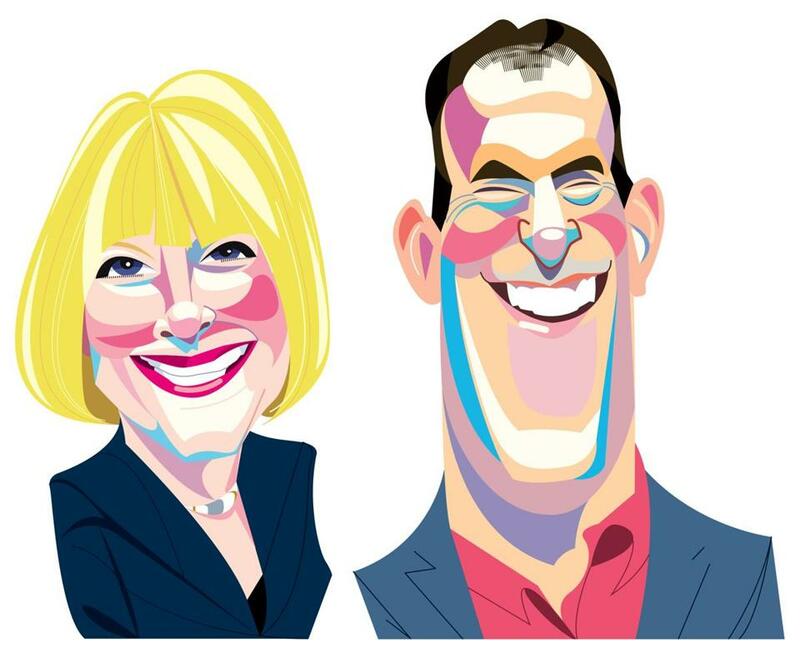 When Joan Schneider was weighing a future for her eponymous marketing firm, she talked with West Coast agencies that were interested in possibly acquiring her agency to gain a foothold in Boston. But Schneider, in the end, decided that the best buyer for Schneider Associates’ 15 employees and its clients was right by her side. Several weeks ago she sold her firm to its now-chief executive, Phil Pennellatore. The transition had been in the works since 2015, when she promoted Pennellatore to president and sold him a 20 percent stake in the business. Schneider started the firm in 1980, from the sunporch of her Newton home. It barely survived the real estate crash of the late 1990s, and Schneider diversified her client base as a result. Today, the firm still represents real estate businesses, most notably Cushman & Wakefield and Simon Properties. But she branched into higher ed — with clients such as Fisher College, Georgia Tech, Rutgers University, and MIT’s Sloan School of Management — and other sectors. She also expanded the firm’s services beyond traditional PR to include social media and other forms of digital advertising. Schneider, who turns 69 in January, will stay on in a part-time capacity for about a year. But she is already looking at other pursuits: travel, photography, piano. Pennellatore, meanwhile, is preparing to give the agency a new face, a transformation that will include a new name, website, and logo. The rebranding is being handled by Fresh, a Salem firm that has worked with Converse and Bowdoin College. He hopes to engage his staff in the decision-making process, and unveil the new name and brand in March or April. This is what happens when you miss a meeting. While running a communications agency in Boston, Colette Phillips has become a champion for diversity efforts within the city’s business community. As a result, she sits on the AJC New England’s selection committee for its annual “Co-Existence Award.” The Jewish group’s members make a point of considering leaders outside of their faith to honor; the first recipient, in 2016, was former governor Deval Patrick. This year, the selection committee decided to pick one of their own, at a meeting that Phillips says she missed because she was traveling. When Phillips got back and was told she would be the awardee, she thought it was a joke at first. In particular, Phillips’s work behind the “Get Konnected!” multicultural business networking initiative was cited. Mayor Martin J. Walsh presented the award to Phillips on Nov. 13 at a reception at the Artists for Humanity EpiCenter in South Boston. Eastern Bank chief executive Bob Rivers and executive coach Priscilla Douglas also lauded Phillips at the event. “It’s like seeing your obituary,” Phillips says. “I was totally overwhelmed, or as my Jewish friends would say, verklempt.” Phillips frequently complains the city’s power structure isn’t diverse enough. But she notes that when she first came to Boston for college four decades ago, she was told South Boston was on the list of neighborhoods black women like her should not visit. David Kenny just landed another chief executive gig with a well-known, out-of-state company. But it doesn’t appear that he will be packing his bags anytime soon. Kenny, 57, was appointed last week to be the new chief executive of Nielsen Holdings, the New York-based tracker of consumer behavior and information. He is slated to join Nielsen on Dec. 3 from IBM, where he led the Armonk, N.Y., company’s Cognitive Solutions business. Before his time at IBM, he led the Weather Co. Kenny helped orchestrate the sale of that company’s digital assets to IBM roughly three years ago. He kept his house in Wellesley, rather than moving to the Weather Co.’s home base of Atlanta for that job. Before joining the Weather Co., he was president of Akamai Technologies, not far from IBM’s Cambridge offices. He was also chief executive of Boston digital ad agency Digitas for 13 years.